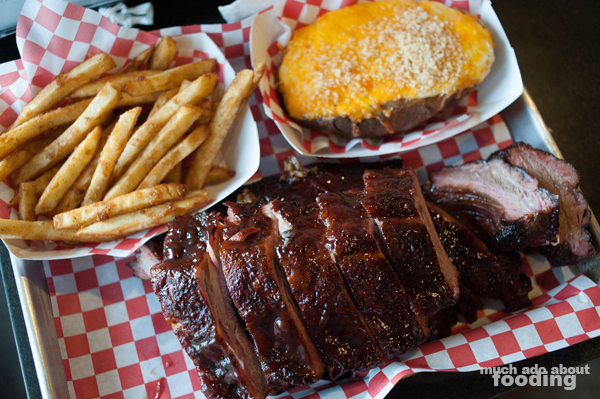 We kept hearing the name - The Smoking Ribs - and how it was a prime spot to find barbecue to knock one's socks off. Followed quickly by those sentiments was also the footnote on how the restaurant was not somewhere one would expect to find a tasty joint in Orange County; The Smoking Ribs (or as they emphasize it, the smoKING ribs) is in Garden Grove. Interesting. In a land of phở and bánh mì, why would a smoked meat kingdom try to establish grounds? Having grown up in Garden Grove, I was curious where the restaurant was located and surprised to see it just down the street; after driving around the plaza, it became obvious that what once stood in these suites were being taken over by the needs of the modern. It looks like The Smoking Ribs is one of those pioneer takeovers! To ensure a full spread, we were not the only two dining that early afternoon. Our table of four made sure that we would be able to try just about everything on the simple menu so that we could experience the full range that the restaurant had to offer. The dining area was simple with some tables made of dark lacquered wood and the bar made of red brick. 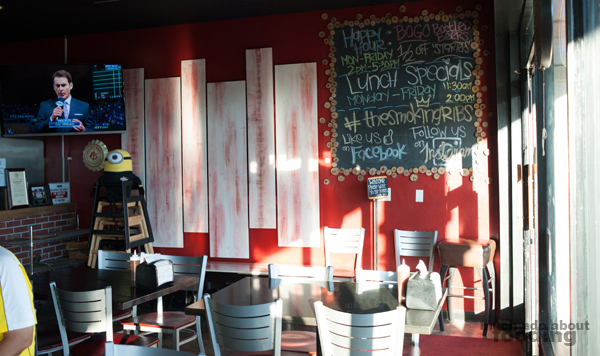 The majority of the space inside was dedicated to the smoker though which is only to be expected of a barbecue joint. 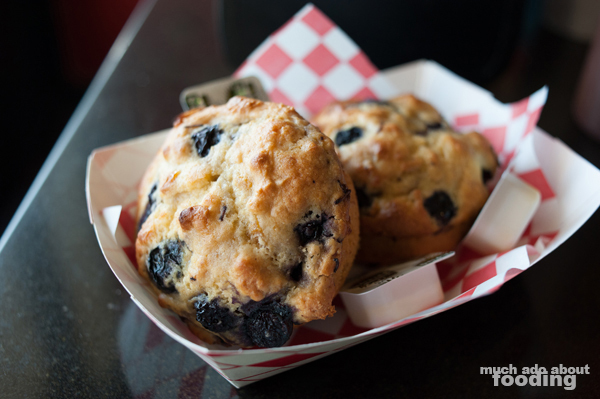 After sitting down, we began our meal with the raved-about Blueberry Cornbread ($4). 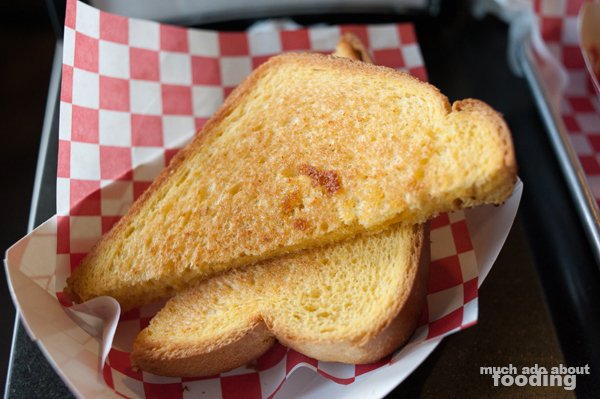 They were hearty but perhaps their rarity in Orange County led to the mass accolades; we found them fair but not extraordinary but then again, I tend to favor coarser grit cornbread like that made in the South. If it comes down to one overall point in memory, the sides were spectacular. The smoked beans were perfectly balanced between flavor and scent in its smokiness. The mac & cheese was cheesy with a crunchy crust that played well with the softness of the macaroni. The mashed potatoes had us craving more. The French fries were absolute stars - I crave them from time to time. 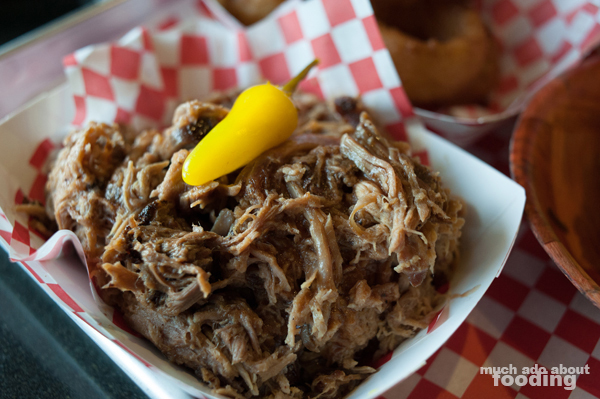 When it came to the meats, the pulled pork fell short of a true Carolinian style which it seemed to strive for; however, they were still exciting in comparison to other offerings in Orange County. The short rib had plenty of fattiness to bolster its flavor though the brisket could have used some of that, having been a little drier than preferred. 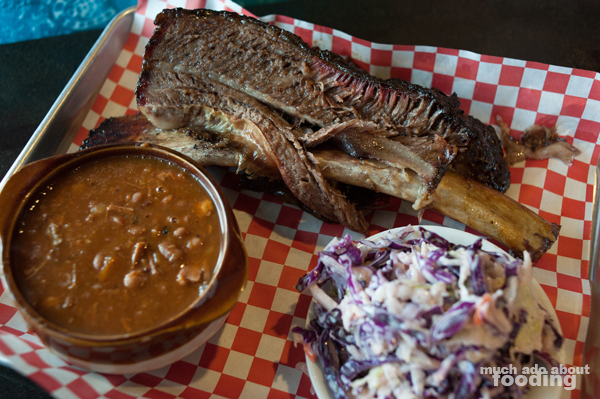 The beef ribs were rich as well and swathed in a lovely sauce that hung at the right point of sweet and spicy. 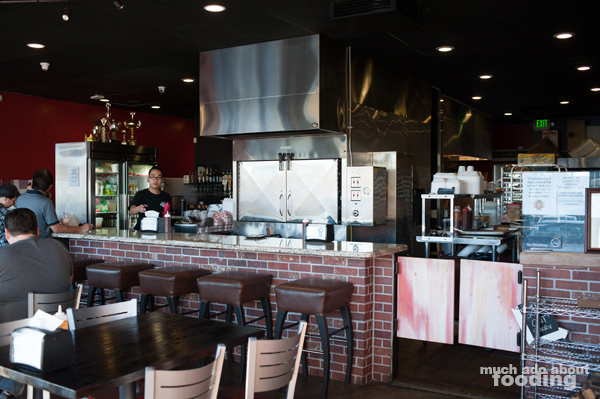 The Smoking Ribs is a fine place to explore a range of barbecue even if you wouldn't expect to find it at its place at 14211 Euclid St, # D, Garden Grove, CA 92843. 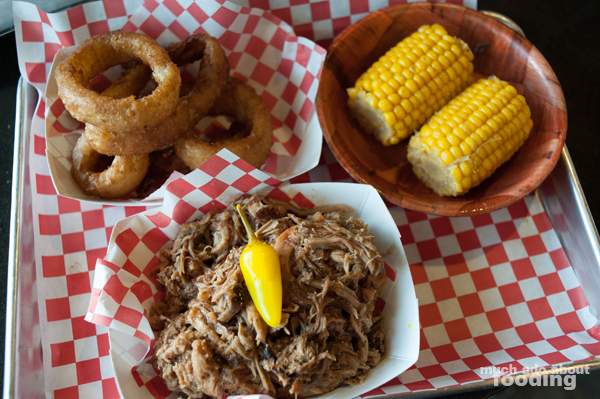 Perhaps I am biased, having spent a few years in North Carolina where barbecue is part of life out there, so I wouldn't give this restaurant an enthusiastic two thumbs up. 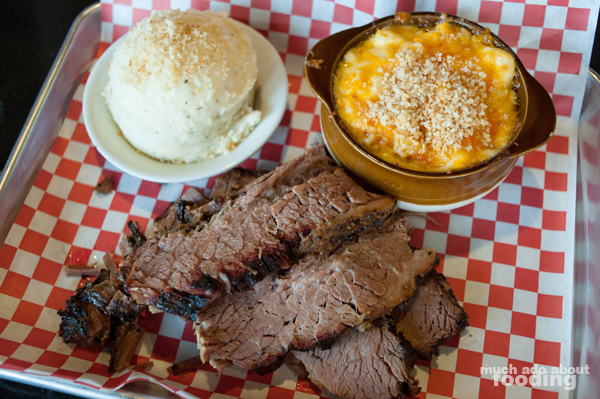 However, you can still snag a bit of the smoked meat flair here with plenty of rocking sides to go with it!